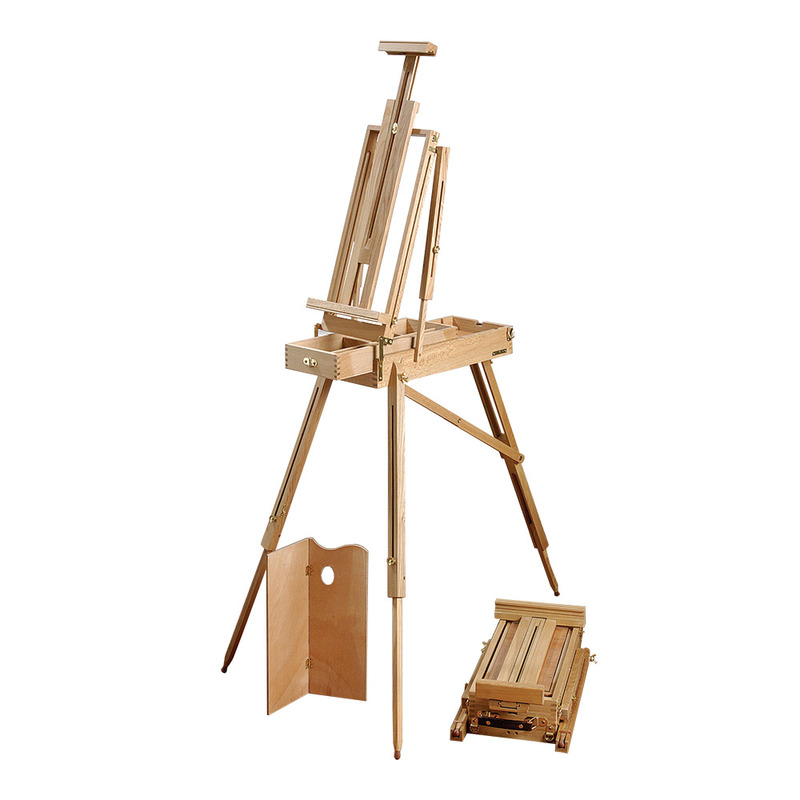 This lightweight half size sketch box easel makes a great workstation for in the studio or out and about. The easel has a full adjustable painting angle as well as telescopic legs, other features include a folding wooden palette, shoulder carrying strap and a sliding draw Only the finest seasoned Elm wood is used in the manufacture of this product and it is finished using quality brass coloured hardware. When the easel arrived it was slightly damaged due to poor workmanship. I got straight on to Ken Bromley, sending photos of the damage. Within minutes I had a reply and the problem was solved! Ken Bromley's replies: After seeing the comment above, we phoned the customer. She told us that she eventually got it to work and it is now OK. Most easels are fairly straightforward to erect, but if anyone does have any difficulty, you should phone us and we will be happy to talk you through it.